Anyone who knows me, knows I love stir fries. Let me repeat: I LOVE STIR FRIES. Sometimes I follow specific recipes, sometimes I just make whatever pops into my head (or whatever I have in my fridge, or whatever’s cheapest at the grocery store). Tonight’s stir fry was not from a recipe, but it was my first stir fry in my new wok (getting married = lots of awesome gifts). 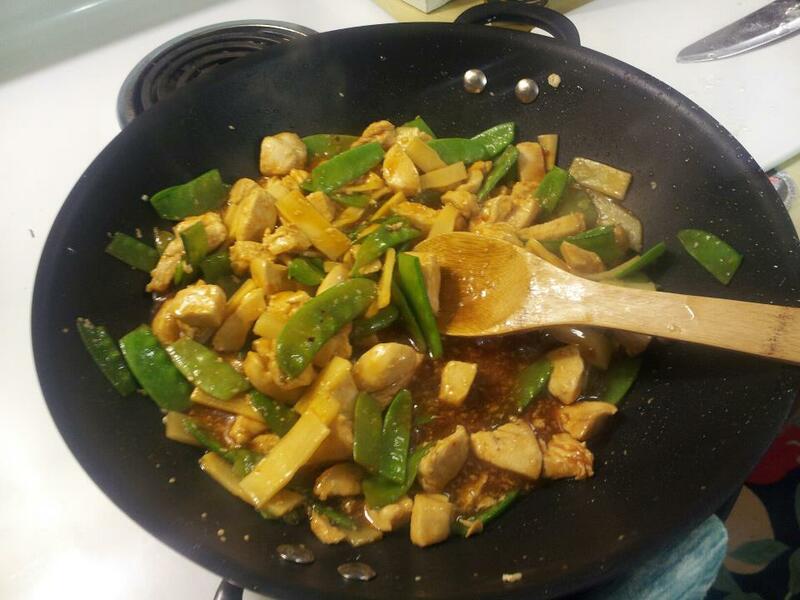 This one included chicken, snow peas, and bamboo shoots. And probably my favourite brand of stir fry sauce (House of Tsang is my bff).